Panter's Building; Brookline Village, Looking North from Washington St.
Panter's Building was a remodeling of the old Baptist church building at that site. It was obtained by John Panter as payment for his work on the replacement church, seen behind it, and converted into a commerical building. 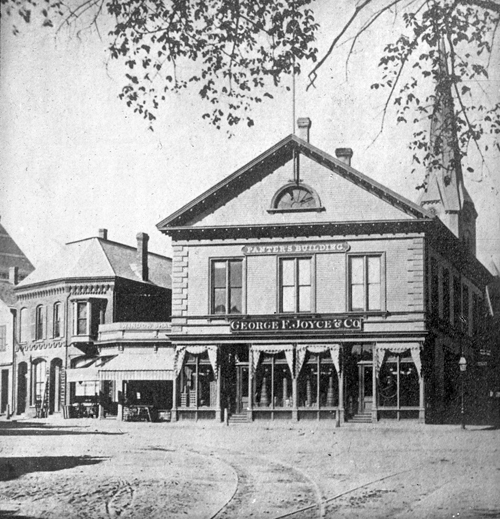 He later sold it to George Joyce who moved his grocery store from the Colonnade Building circa 1874.